A Two to two and a half day introduction to the SomaVeda® Fundamentals of Thai Yoga and Thai Massage approaches to health and healing. If our 200 hour Certified SomaVeda® Thai Yoga Practitioner certificate program is too long or not suitable for you at this time, then this is your starting point in learning SomaVeda® Thai Yoga or on the way to becoming a certified SomaVeda® Thai Yoga Practitioner. To register: contact the Teacher or Specific school listed as host or provider at the links provided. Advance registration is required for all classes! Pre-requisites: This class is open to any and all persons and students from any background or level of training. Thai Yoga and massage is founded on the ancient Indian principles of Ayurveda “The Science of Life”, it promotes health through balanced and conscious living. A basic introduction to SomaVeda® Thai Yoga, this intensive is suitable for new students or practitioners seeking an alternative modality from a spiritual perspective. SomaVeda® Thai Yoga and massage incorporates elements of mindfulness, gentle rocking, deep stretching and rhythmic compression to create a singular healing experience. Expect to gain tremendous insight into you daily practice. To read more about “What is SomaVeda®?” Click Here! What do we teach in this course? The course covers the basic concepts of hands on healing in a balanced session using SomaVeda® Thai Yoga. This Yoga and traditional, indigenous medicine derived system allows the practitioner or teacher to gain a three dimensional perspective on facilitating and participating in another persons healing process. · During this course the student establishes contact with a genuine lineage and learns how to facilitate the healing energy of the ancient masters through the practice of Puja or healing affirmations. · After completing this course, students will: the student can perform a complete 19 Asana beginner Vinyasa or flow with a partner. The student will be able to perform a one hour SomaVeda® Thai Yoga Massage. · Understand the basic elements and theory of Classical Thai & Classical Indian Ayurveda anatomy and physiology. · Understand Basic Theory: Seven Chakras, Ten Sen or Prana Nadis, Wind Gates, Asana or therapeutic postures, Meridian’s and Accupoints, Understand the concept of body work as a meditation, The Five Traditional Treatment Attitudes of the body, Know and understand indications and contraindications for specific postures, Major clinical applications for use in clinical or professional treatment environment. · Understand the benefits and contraindications as well as clinical medical applications of SomaVeda® Thai Yoga massage. · Understand and be able to perform the basic protocol and principles of SomaVeda® BET/ Bio-tapping technique for balancing and clearing negative emotion. After completing the SomaVeda® Fundamentals of Thai Yoga, Thai Massage Level One Can I practice Legally? Yes! We provide a complete legal basis for all SomaVeda® Thai Yoga students and practitioners to be able to practice and minister in every state. NO MASSAGE special licensing required. Details will be furnished to all students in class. Seeing is believing! To see photo’s from previous classes Click Here! What is included for at no additional cost when I register for this course? Free SomaVeda® Fundamentals of Thai Yoga and Thai Massage Training Manual. The SomaVeda® Fundamentals of Thai Yoga and Thai Massage: Level One Certificate training class covers basic techniques and concepts from the three primary traditions of Traditional Thai Medicine, Traditional Thai Massage, Thai Massage, Yoga Therapy and introduction to Ayurveda as well as the unique eclectic influence of SomaVeda Integrated Traditional Therapy®: Thai Yoga. The original Thai influences include the Buddhai Sawan Institute, Wat Po style Royal method, the Nuad Boran Northern Style and Annantasuk/ Wiangklaikangwan Industrial College. After I complete this SomaVeda® Fundamentals of Thai Yoga Training, are there additional classes I can take? Yes! The Level One is the introductory course in our 200 hour SomaVeda® Thai Yoga Practitioner Certificate Program. If your goal is to become a certified and or licensed health professional the CTP is the next step! For details on continuing or attending a 200 hour CTP, Click Here! Please note: their are many ill trained and unscrupulous people claiming to teach this course. Ask if the instructor is a Certified SomaVeda® Teacher with Teacher Certification personally signed by Aachan, Dr. James. If they cannot provide the documentation that all legitimate SomaVeda™ teachers are required to have they are not authorized to teach. We are not responsible for content, and or injuries one might receive in unauthorized classes. Important Note! We consider this Fundamentals of Thai Yoga, Thai Massage class to be a Sophisticated Beginner Class. Graduates at this level should under no circumstances consider themselves to be professionals or present their practice to the public as professionals. These classes are meant for educational purposes only and do not purport to make any medical recommendations. Medical recommendations and diagnosis for any disease condition is regulated by both Federal and State law and may only be practiced by a licensed physician or other licensed health care provider. However, this class when practiced in conjunction with all of the SomaVeda® provides a very firm and substantial foundation from which to become a professional! This program is currently included as a module for our Certified Thai Yoga Practitioner (CTP), Ayurveda Wellness Practitioner (AWC), Ayurvedic Yoga Therapist (AYT), Certified Thai Teacher (TCP), SomaVeda College of Natural Medicine (SCNM) College Degree Programs. 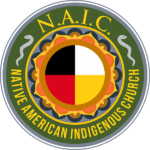 All NAIC Inc. SomaVeda College of Natural Medicine: Thai Yoga Center seminaries, classes, programs and donations are subject to the published NAIC Inc. Cancellation and Refund Policy.